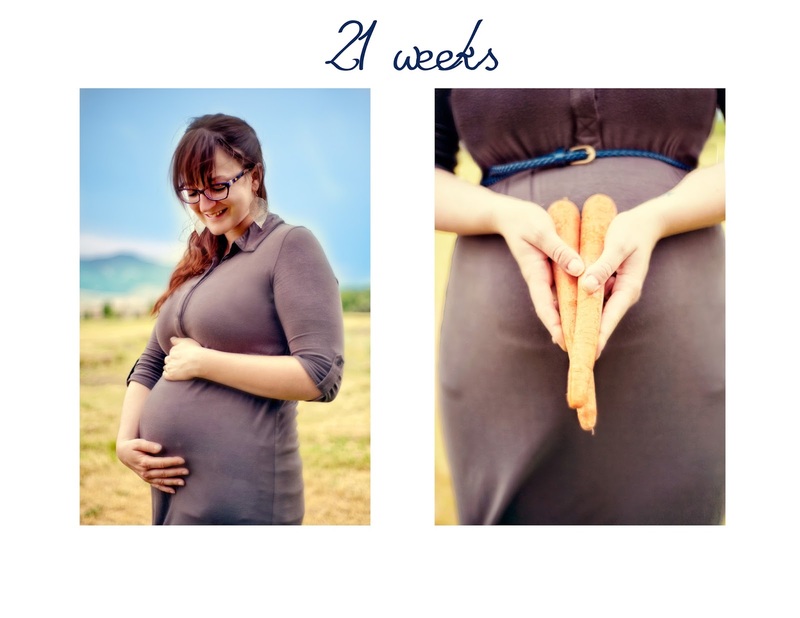 At 21 weeks, the baby weighs 3/4 of a pound and is the length of a carrot. This week we have our first ultra sound! We've been debating back and forth about how to handle finding out the gender of the baby. We've gone between gender reveal parties to finding out during the ultra sound. But we've finally decided (with less than 24 hours to go)! Since Patrick wants to know much more than I do (I'd be okay with waiting until it's born), he is going to find out and not tell me. Then in October when my lovely sister is in town from Portland, we will have a baby shower/gender reveal where I and all our family and friends get to find out. I'm excited because I love surprises. Patrick's excited because he will have a special secret with the baby for the next couple months. I just can't wait to finally see a picture of the little carrot. Due to popular demand, I've included a photo showing my face this time. this just got really real. you look seriously pregnant in this picture so beautiful and glowing. love seeing the expression on your face. I definitely vote for continuing to show your lovely face. also love the agreement you and Patrick came to about the baby's gender. you both are already in credible parent. Love you. Beautiful Baby Bump and Beautiful Face.